You are doing SEO of your website, do you know about common SEO mistakes to avoid? SEO (Search Engine Optimization) is used to improve the rank of a website on search engines. When you are doing SEO, you may have accidently done SEO mistakes which you are may not aware. you have to do something and solve to mistakes. Some mistakes could be made following wrong techniques or tips. Only learn good SEO tips and avoid black hat techniques. In this article, you will know some common SEO mistakes to avoid and their solutions. 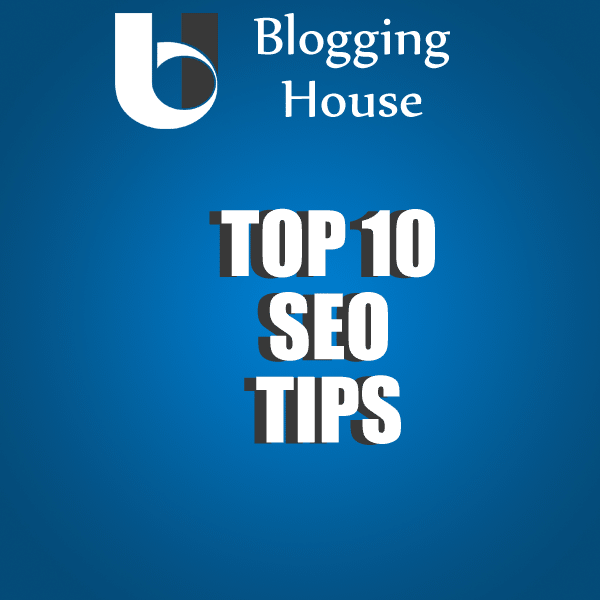 Here are the top 10 SEO mistakes that bloggers make. By the release of “mobilegeddon”, this is become #1 SEO mistake. On April 21, 2015, Google released a new mobile-friendly algorithm. The main target of this update is to provide a better user experience to mobile users. As a result of this update, whenever someone is using Google on mobile, he will see mobile friendly pages and other will be shown after them. For example, you searched for “make money blogging” on your mobile and mobile friendly pages will appear first. That’s means, it will give a boost of traffic to responsive websites. If you visit Blogging House on your mobile or different devices then it will work on all devices. Due to this update, many non-responsive websites have lost their ranking and responsive websites have gained many new visitors. Many top websites lost their visitors. If your website is not responsive or mobile friendly then contact your web developer. You can test whether your website is mobile friendly or not, by using this tool. If you are using WordPress, then install a responsive theme. Most of paid WordPress themes are responsive. Here is an article which will help you to choose a WordPress theme. One of the biggest SEO mistakes new bloggers made, they build thousands of backlinks without building high-quality content on their blog. First of all, content is king. You should create linkable and good content on your blog. A website without content is like a fish without water. There is a difference between High-Quality and Low-Quality content. Low-Quality content is which is written for search engines means including keyword stuffing. Not have much word in the articles (your article should have at least 1000 words). Copied content is also considered as low-quality content. Building content is more important than backlinks. If we talk about building backlinks than the quality of backlinks matters not quantity, one high-quality backlink is batter then thousand low quality. Low-quality backlinks include spamming or commenting for the sake of a link. Guest posting on different websites is considered as a good way for making backlinks and getting traffic. Due to less content and bad backlinks, many websites are got banned from Google. As you know that the quality of content is the most important thing is SEO. If we talk about quality then there are some factors to keep in mind. Your each post of your website should have at least 500 words (I recommend 1000 words). A 400 words article is really easy to write, but you can’t rank and your blog may receive penalties from Google. On the other hand, an article with 1000 words will improve your search engine ranking and it will provide the better user experience. In a short article, you don’t clear and explain things. Whereas in a long article, each and everything will describe step by step which will loved by visitors. I know, long is not always better, but it is usually better. Long articles get more hits, shares, and links. Why? because it clears all the concepts and it rank better on search engines than short articles. According to SerpIq, an average length of articles on the first page of Google is more than 2,000 words. It is one of the most oldest SEO bad techniques. 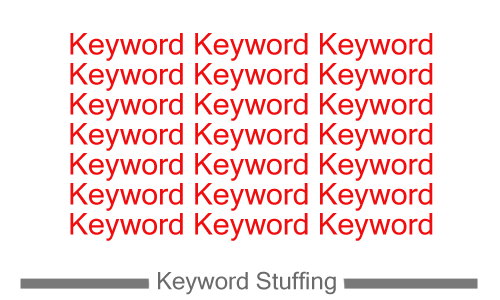 Keywords stuffing is an attempt to create a lot of keywords or repeat keywords many times in an article. Posting a keyword many times also known as keyword stuffing. You may think that with this you can rank easily, but an extreme use of keywords will penalize your website. Keyword Stuffing can destroy your grammar, user-experience and rank on Google. First of all keep in mind, you don’t have to use any shortcut of bad technique. These following things you can do to keep your keyword density neutral. Avoid incorrect sentences that you are using for keywords. Increase length of the article. If you are writing 500 words then write 1000. Place your keywords wisely, add synonyms. Remove invisible content or hidden links. Quality is king, keep in mind that you don’t have to lose quality of your blog. 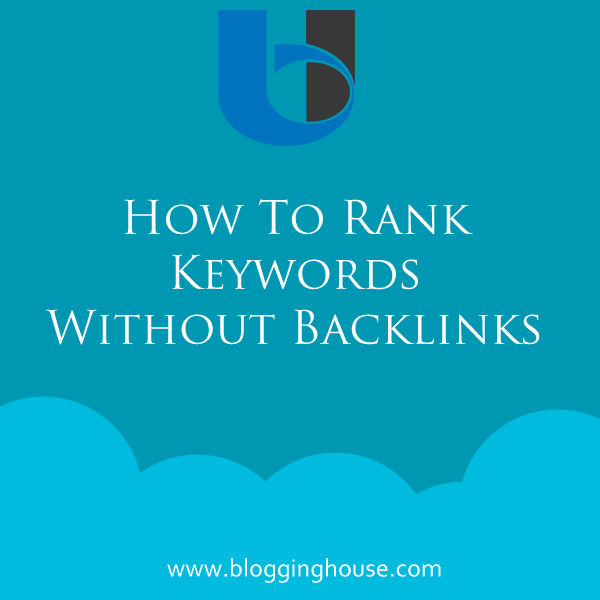 In the post rank keywords without backlinks, I have explained that you have to select right keywords for your website which you can easily rank. If you select high competition keywords then your page will not appear in top results, maybe not appear in top 10 pages. Which means, you can’t get traffic. Usually, short keywords have high competition. These keywords may have a great search volume or traffic but If your website don’t appear there then what benefit you get? 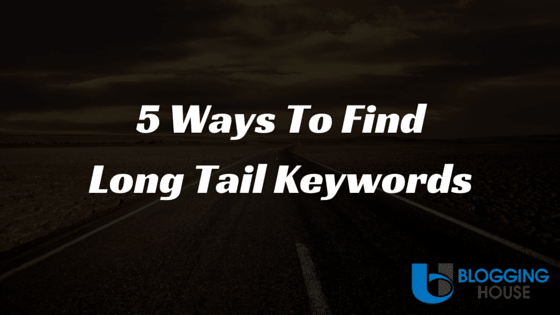 There are many tools which you can use to check keyword density and find long tail keywords. 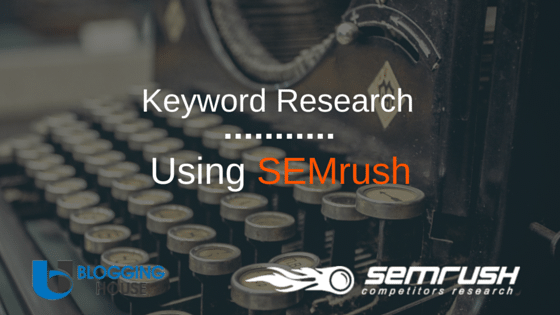 Some of the tools are SEMrush, MOZ keyword density check or Google Keyword Planner. Search for a keyword in Google and check related search results. Use tools like HitTail, Long Tail Pro etc. Google Keyword Planner can help you in all the ways. Have a look on your incoming search terms. Images on Google can be clickable and a source of traffic. Optimizing images is also a part of SEO. One of the biggest mistake that bloggers made, they forgetting about optimizing images. As you know that Google and other search engines can’t read content on images, they rank them by using their names, caption etc. Often bloggers leave their images with bad file names like 12434.jpg, which is bad. For photography and images websites, it is the most important step for their SEO. By not optimizing images, you will miss a huge part of your traffic. Here are some of the tips for optimizing images. First of all when you are creating images describe them with a good file name like make-money-blogging.png. Use hyphens (-) instead of underscores (_). Add an alt and description when you are uploading on WordPress. Use your focus keyword in the alt tag, filename, and description of the image. This is used to rank on a keyword. Try to reduce their file sizes using some tools like Adobe PhotoShop. Reducing file size will reduce bandwidth usage and loading time. Try to create your own unique images which should be attractive and describing your articles. Sometimes it is referred as Page Speed. It is one of the most important steps to drive traffic to a website. A visitor does not visit the page if it takes more than 5 seconds to load. If your website is slow then it is a bad news for you. Increasing loading time means bounce rate is also increasing. Search Engines also hate loading time but if your website is fast then everyone will love it. Page speed also affects SEO. Here are some of the tools to test speed a website and take actions on the report. W3 Total Cache plugin is the favorite choice of WordPress users. It is the plugin which is used to improve the speed of a WordPress website. Your web hosting also plays an important role in the speed of a website. Select a good web hosting which is faster and load websites quickly. As I have mentioned in the above topic, try to reduce the file size of images to make your page load faster. I think this is one of the most common SEO mistakes that newbies make in their start-ups. Copying content from websites is really simple and easy, but it is spammy. With copied content, your website may get penalized. Copied content will harm your ranking of your domain and you should forget about SEO if you are copying content. Websites who copy content, usually get traffic from social media websites by spamming. They can’t survive long, many of them are banned from Google. Your website may got penalized on Google. The website owner (whose you copied content) may take actions against you. Your readers will not stay on your website. If you have not copied content but some else did this from your website then you have to take actions against him. Copyscape is a tool which is used to find copied content on your website. Go to Google DMCA Page. Select for Blogger if copycat’s website is hosted on blogger otherwise select web search. Now select “I have a legal issue that is not mentioned above”. If it will ask that you are the copyright owner or not then say Yes! I am. Now it will ask that content is image or other. Then click other. There is a difference between duplicate content and copied content. Copied content means the content is copied from any other domain or website. On the other hand, duplicate content means the content is found on more than one place on the same website. If any duplicate content is found then you can setup a 301 redirect to the original page. Noindex, nofollow. In some cases, you have no follow the duplicate content page. Sometimes people create spun articles without using any tool. Means, rewriting articles manually. These articles have better quality but still bad in the view of SEO. Google is against low-quality articles. These articles usually don’t get organic traffic. Spun content (As I said above). If you are using article spinners then stop using them and try to write articles yourself. Some bloggers use articles spinners to increase the quantity of content. Quantity of articles does not matter, their quality matters. 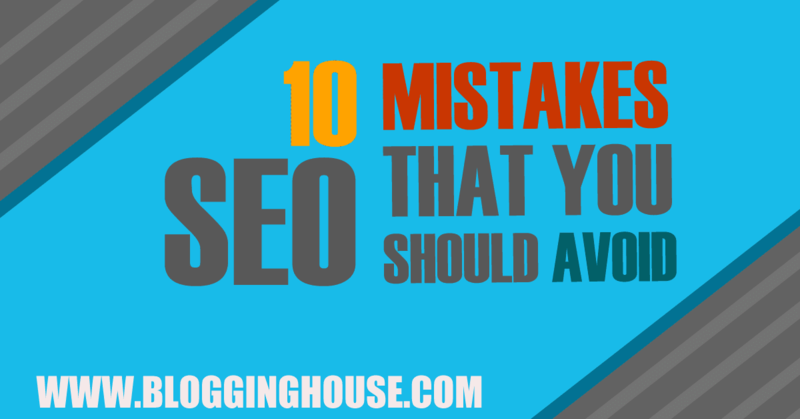 Well, if we talk about SEO mistakes then there are many but we have mentioned 10 of them. These SEO mistakes may decrease your website traffic. Now, avoid these mistakes in future. If you have any question then please comment below. Share your opinion with us. This article is really useful for me thanks for great post abdul keep it up.